On Wednesday we spent the day in Banbury (it poured with rain and was no weather to be boating) shopping, attending to various business matters and collecting our post which included a letter for Joy from DVLA. I had received my new licence some weeks ago but despite Joy having verified her identity with her ‘digital’ passport on line, DVLA had returned her application saying she hadn’t enclosed her passport, a phone call to Swansea assured her if she simply wrote a note on her application form giving them permission to check her passport number all would be well (wasn’t that what she did on line???) So imagine her frustration when this letter said that they suspected that the address she had given was an accommodation address; another phone call to Wales to advise them that yes, of course this was an accommodation address, because the post man doesn’t deliver to moving boats. “Ah well” Taffy said “Then you must send your mooring permit” “We don’t have one! We are Continuous Cruisers” “You must have one” so went the exchange until Joy got cross and demanded to speak to his manager. Joy explained the situation again and that her bank, pension service, Royal Mail and phone provider were all happy to use this address and so it was agreed to fax a couple of documents from these organisations and they would send the licence out that day and true to their word the licence arrived next morning. Another frustrating conversation was also had with our ex-bank trying to close an old account. Isn’t it the limit when organisations will only give 0845 numbers to contact them and far from being local rate, cost about 30p+ per minute from mobile phones, even 0800 numbers aren’t free. SAYNOTO0870.COM usually comes up trumps with alternative geographical numbers but on this occasion we struggled until finding 0800 Buster on Martin Lewis’ Money Saving Expert site and then realising we could use SMS Listo’s access number service for the 0845 numbers for considerably less. They are a VOIP (Voice Over Internet Provider) and you can also call direct from your PC if your broadband is good enough. We already have an account with them as they offer 90 days of ‘free’ calls to Australia for a subscription of £10.40 and you can use your balance after that at less than 2p a minute to Oz or 2.8p/min for 0845 numbers. Oh well… Enough ‘Grumpy Old Git’ writing for today! 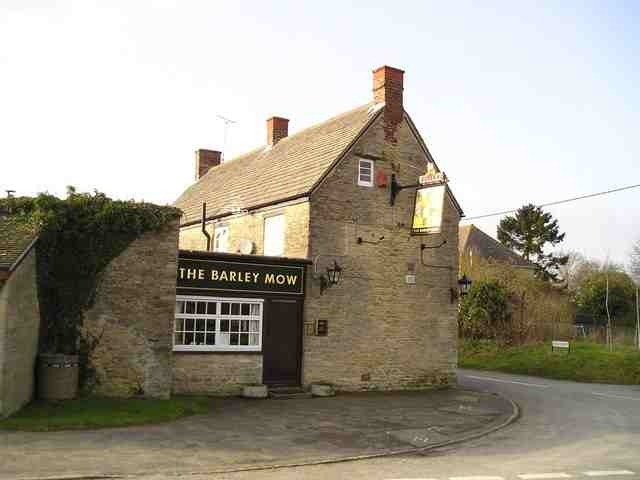 We picked up our car Thursday night from the friends who had been looking after it and went to The Barley Mow for a meal, then on to church, which is nearby, for a social evening/quiz night. It was Ian, the minister’s, birthday and we made up a team with him, his lovely (and surprisingly competitive!) wife Erika and Mike from Zimbabwe, couldn’t have been a bad combination because we came second. Today we have reversed down to the wharf for a pump-out and a catch up with the staff, fixed their battery charger and found ourselves a 14 day mooring down by the next bridge which is very peaceful (or at least it was until we started our generator to so we could do some washing) we have good internet, phone & allegedly good TV signals too. Catty was pleased to be allowed out to roam and showed her appreciation by bringing in a young sparrow, we explained that as Wrens we couldn’t approve of that and made her give it up whereupon it escaped frightened but apparently unharmed. Moored up in Banbury before the streets are aired! Our mooring last night was, of necessity, just on the outskirts of Banbury because there were just so many boats on Castle Quays in town. 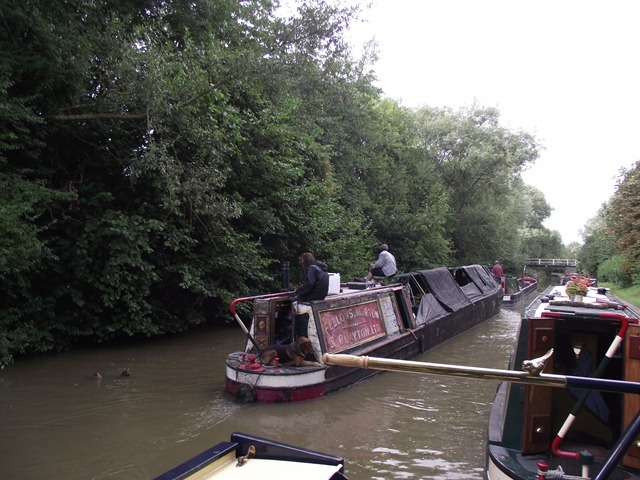 Just after we stopped a coal boat went past towing another trad in need or some restoration. After a night disturbed by noise from the neighbouring factory we were awake early and saw nb Cream Cracker go past, who we knew had had a mooring in town, so Joy went out on a recce and soon phoned to say there was indeed a space so off I went and bagged it! 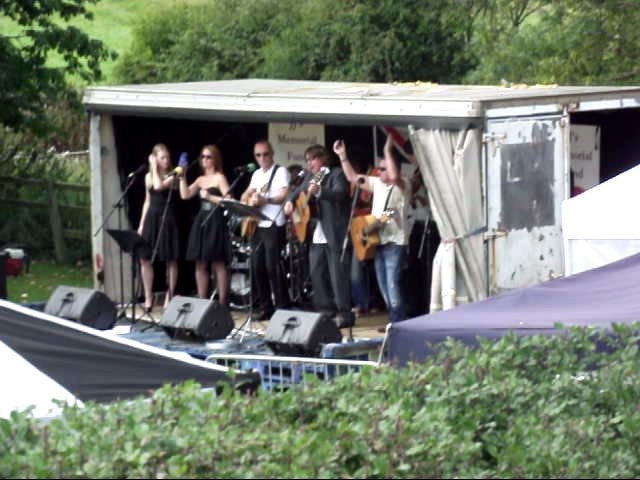 Rewind to yesterday… It was a longish day with 12 locks to get to Banbury. 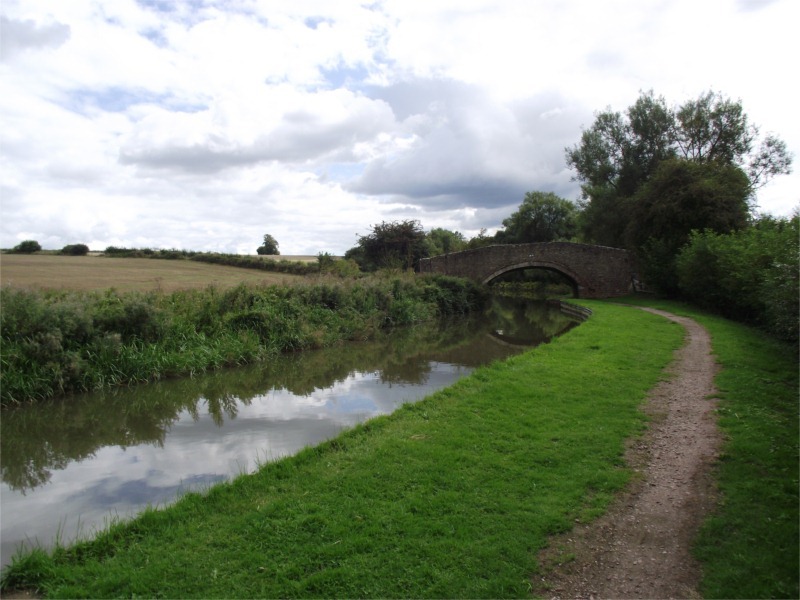 Down through Claydon locks, lunch stop at Cropredy with stew & dumplings cooking all day in the slow cooker. 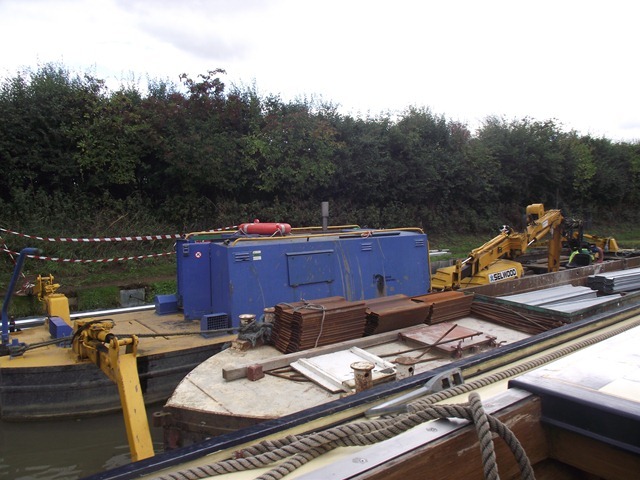 Around Cropredy we saw what seemed to be BW’s entire fleet of workboats putting in new pilings, 2 in one place and no less than 5 in another. The weather held again until 7pm as forecast! Also as forecast was strong wind gusting up to 40mph which made for some ‘interesting’ entries into the locks at times but Joy did very well. Joy has now taken charge of bringing the boat into the locks, mainly because there is no place for me to step off at the lock mouth coming up this flight, so it was Hobson’s choice but she now admits to enjoying doing it 🙂 not to mention the admiration she receives. She even navigated out of the top lock at Marston Doles which has a right hand turn as you emerge and on this occasion a boat waiting to come in. The Met Office forecast was spot on and as predicted it started to drizzle as we approached Fenny Compton and we were very fortunate to find a space to stop just past the Wharf Inn which we visited on our outward journey, so lunch was partaken therein and while we ate the heavens opened and we were so glad to be safely inside! The pub also has a campsite, a small, if somewhat expensive, shop (even DD doesn’t charge £2 for half a dozen eggs) and a launderette which we are currently making use of. Tonight they have a ‘Spice Night’ with various curries and also spices for sale so we might just have to try that out. Sorry, not our own pictures today, too rainy. P.S. Saw Kangaroo & Australia (Trad motor & butty) go past this evening and the crew in the pub later! We left our quiet berth this morning and set off for Napton and as we journeyed along we noticed the dreadful state of some of the bridges, the one pictured being the worst example, yes… it’s only an accommodation bridge & not therefore British Waterways top priority I suppose, but failing to spend a few hundred will surely soon mean a bill of many thousands if neglected. We made our way slowly up the locks and nearly reached the top before finding a place to spend the night moored behind Moore2Life as due to the volume of traffic we thought that them ahead of us might have nabbed all the spots after the top lock. 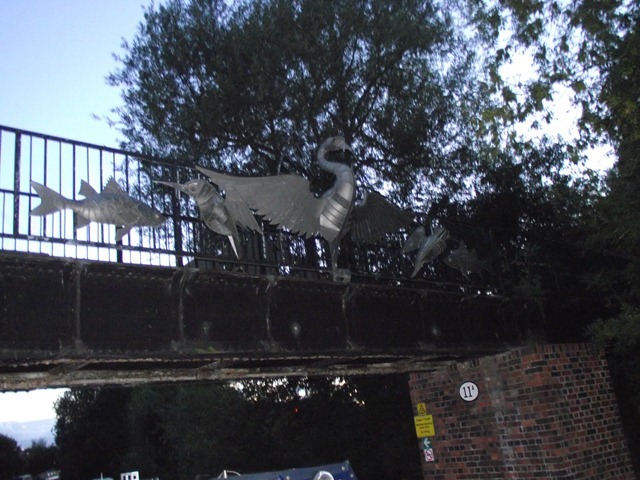 Yesterday we said goodbye to our friends Carol & Ted at Newbold, their daughter & grandchildren came to pick them up and we took them down the towpath and through the tunnel to see the pretty lights. 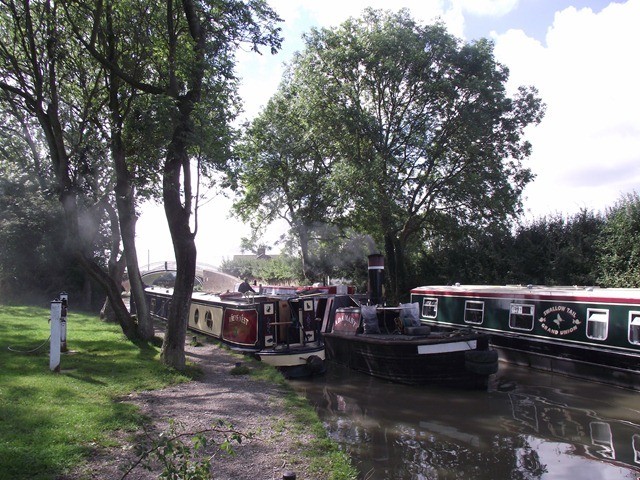 After saying goodbye to them we just motored down to Rugby Visitor Moorings and moored up there. In the afternoon we made use of our bus passes and caught the No 4 down to Rugby town centre to do some shopping. On our return we found that Tesco was just down the footpath so we had to go there too. I had trouble connecting to the internet this morning and discovered that my PAYG mobile broadband had run out and it took me about two hours to get it connected again, so I decided that I would sign up for a monthly contact. You would imagine that a quick phone call should sort this out, but Oh dear me no! “We can’t do that sir, you must sign up for a new contract and we will send you a new dongle & SIM card” and could I get my £15 I had just paid refunded? Could I ‘eck as like! Oh for goodness sake :( I’d better bite the bullet and go to the O2 Shop in town and buy one there, at least I won’t have to wait for it to be delivered. So off we went again courtesy of the bus passes and eventually I managed to get one after endless trouble with registering our address and bank details, you wouldn’t believe we are existing O2 customers! On our return we treated ourselves to a meal at the Bell & Barge (Harvester) adjacent to the canal, not bad food and a good ‘help-your-self’ salad cart but alas no real ale. About 3pm we decided we better move off as we were on a 24 hour mooring AND the rain had stopped. 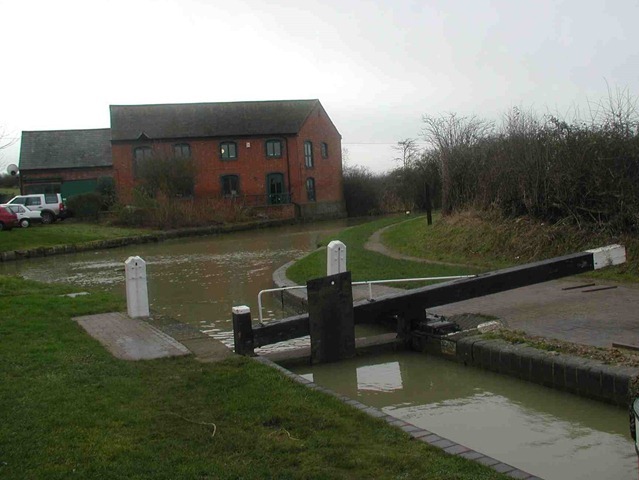 We reached Hillmorton Locks and of course the heavens opened just as we were going through!!! The locks here are in pairs which was meant speed up the traffic, however we did meet another crew who came from Gloucestershire and lived about 4 doors away from one of our friends in Charfield! We had to travel a bit further through the drizzle before we could find somewhere suitable to stop for the night as this part of the canal is edged with sloping stone slabs which as we discovered at Newbold made for a noisy night as the bottom of the boat bumped against them! So here we are near Barby (That’s Barby not Barbie) Wood just far enough away from the M45 in one direction & HMP Onley in the other!!! 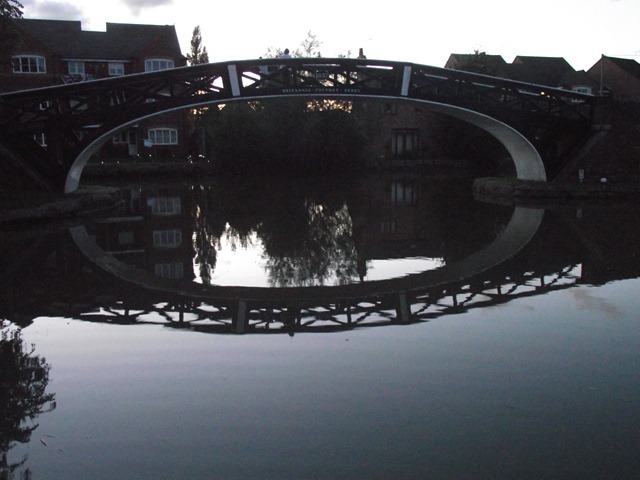 We went for a short walk up the Coventry Canal last night & enjoyed some of the Canal Sculpture trail including this footbridge, by the time we got back it was getting dusk and the junction bridge was reflected beautifully in the water below. The buzz of motorway traffic murmured away in the background all night and we followed the M6 for quite a few miles this morning, firstly passing under the M69 & then the M6 then after losing the motorway we followed the railway. 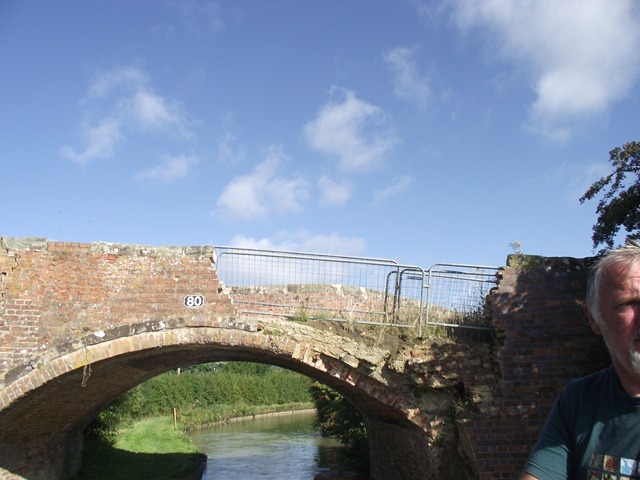 Some excitement was occasioned at Ansty where we went through a bridge and started to round the corner which inevitably follows when we lost steering because the propeller got wrapped up in a large piece of material, we managed to stop with the bows between two moored boats! 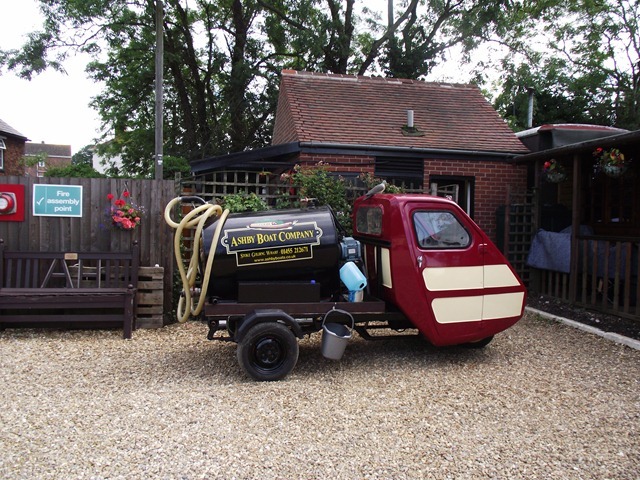 Normal service was reused after diving down the weed-hatch and removing the offending article. Joy said it was a sari, I said it was dressing up clothes. At lunchtime we stopped at Stretton Stop and after eating we visited Rose Narrowboats’ shop where bought some prezzies and some ice cream before setting off again. 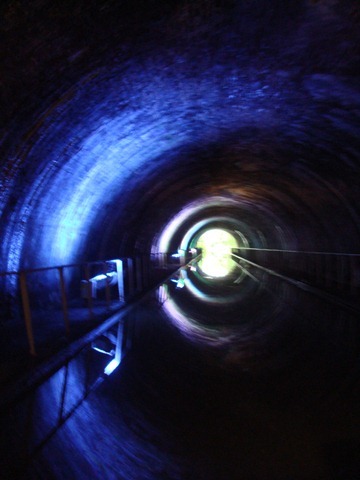 This section of the canal was straightened in the early 1800s and there are the remains of some of the old loops which can be made out in places, marked by elegant cast iron bridges which in some places now form the entrance to marinas but the highlight of the day was Newbold Tunnel which has been quite spectacularly lit with coloured lights. We left the 48hr moorings at Sutton Wharf this morning and cruised back down to the start of the Ashby Canal at Marston Junction. 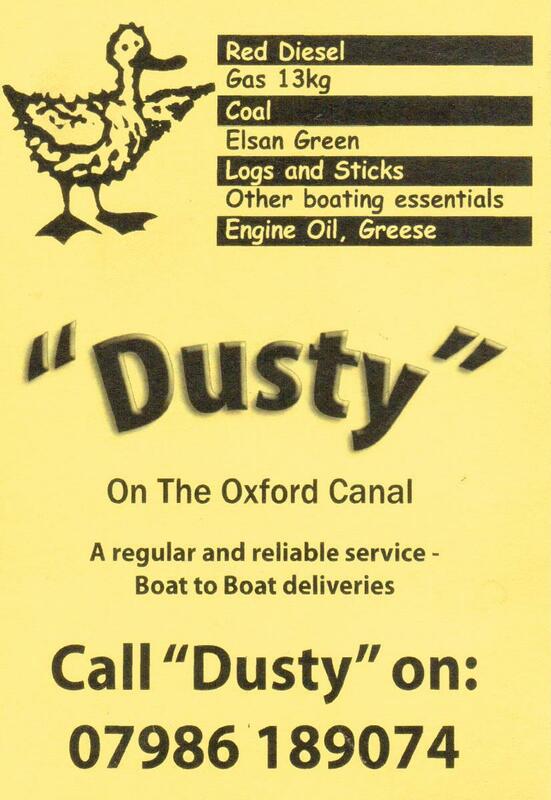 We had a straightforward journey, stopping for diesel at The Ashby Boat Co. at Stoke Golding Wharf and admired their mobile pump-out truck based on a Reliant Ant pick-up. The later part of our journey was rather slow as we got behind a hire boat who were letting their children steer, no problem with that but a backward glace to see who they were holding up was a long time coming before we were waved past. We found a mooring immediately and settled down with a meal of meatballs, potatoes and runner beans with a pepper sauce, better than Ikea!! !